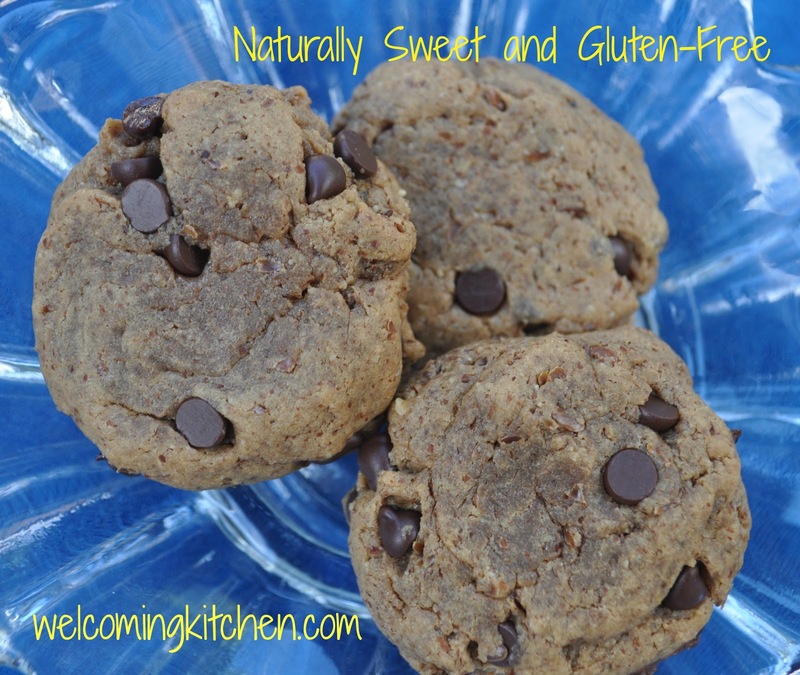 Naturally Sweet and Gluten-free: Review and Giveaway and a Cookie Recipe! GIVEAWAY NOW CLOSED. See below how to win your own copy! I can remember the early days of living within our new food-allergy-impacted diet so well. It was overwhelming! What could we eat? What could we serve to guests? What could we bring to potlucks? Almost 10 years ago, there weren't the bevvy of resources available that there are today. We came across help website by website, cookbook by cookbook. These writers and recipe developers became our teachers, helpers and sometimes our friends. Ricki Heller is one of those people who showed my family (along with thousands of others) that living within a restricted diet is a challenge that can be met with abundance and sweetness. On her website, rickiheller.com, Ricki weaves entertaining stories and essays around her food journey while providing nourishing and delicious recipes. Her vegan, gluten-free recipes are also safe for people who need to follow an Anti-Candida Diet (ACD). One aspect of the ACD is a need for low-sugar cooking. 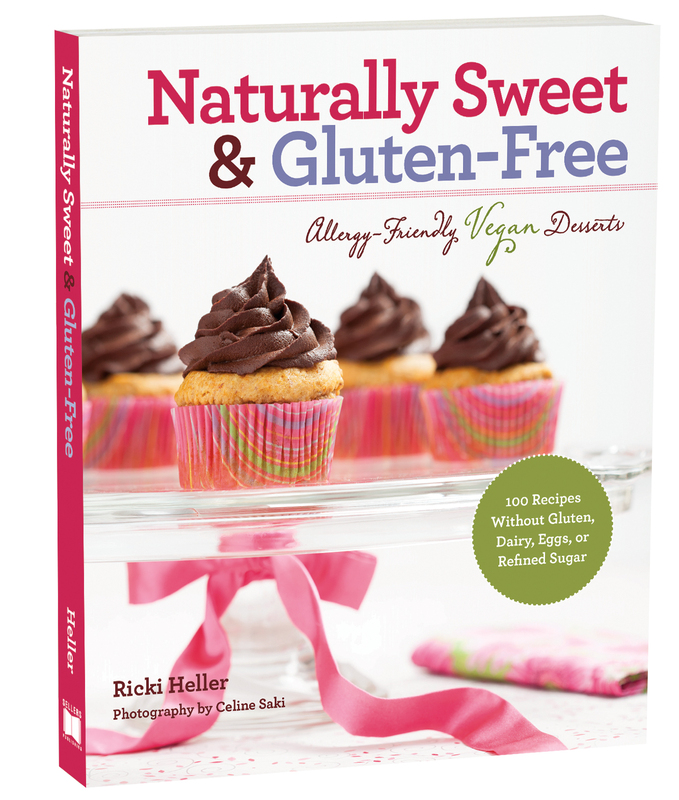 In her new book, Naturally Sweet and Gluten-Free, Ricki has created a resource that's as beautiful to look at, as it is to cook from. The pictures jump off the page. The cookies I baked from this book jumped off the plate (and into our bellies!). You should still buy a copy of this great book, even if you win! You will be glad to be able to share it with a friend. Preheat the oven to 350°F (180°C). Line a cookie sheet with parchment paper, or spray with nonstick spray. In a small bowl, whisk together the coconut sugar,stevia, water, and vanilla until the sugar dissolves. Add the pumpkin seed butter, flax, flour, and salt and mix well to form a very thick and sticky dough. Stir in the chips. Using a heaping teaspoon (5 ml), scoop the dough and roll it into small balls, placing them about one inch (2.5cm) apart on the cookie sheet. Flatten slightly with your palm (or use a silicone spatula). Bake for 10 to 12 minutes, rotating the sheet about halfway through, until the cookies are light golden brown (the dough will lighten as the cookies bake). Store in an airtight container in the refrigerator for up to 5 days. May be frozen. These look amazing! I need to get this book. Ooh this book would be perfect for my family! Thanks for the chance to win! Already like Welcoming Kitchen on Facebook! I have never used pumpkinseed butter but I'm sure it would be quite easy in my food processor. What a neat idea! I am new to gluten free but I am trying to educate myself. One of my weaknesses is dessert... this book looks to be the answer! thanks! I love this recipe because it has no junk in it, but it's a COOKIE. My kids are going to love these! Can't wait to try them.